Don’t ever take a divot? Not sure if your divots are in the correct spot? Don’t even know what a divot actually is?…Then read on because you are missing out on the one aspect of golf that gives good players not only the control and distance they need, but that euphoric feeling of achieving absolute purity. A good divot is the result of a correct impact position. In other words…if you don’t take a divot, if your divot is not in the right spot or if your divot is not the correct shape, then you’ve made an incorrect swing. 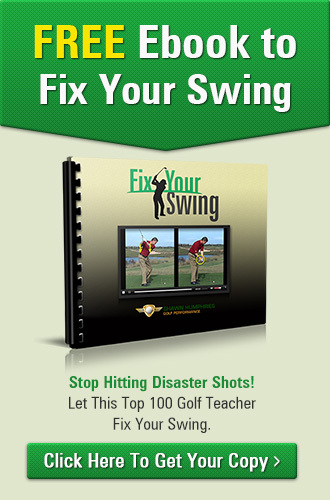 Your swing did not bring you to a fundamentally correct impact position. Yes, it’s true we can pick a ball off the turf or even take a tiny tuft of grass and get the ball to fly where we want it to go. 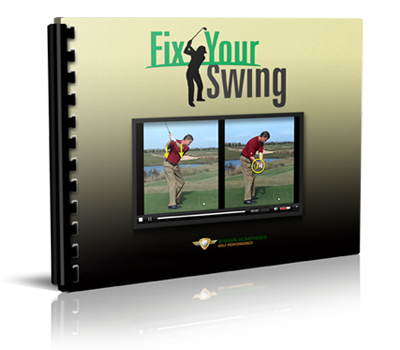 We can also make swings that feel good and seem solid. Don’t fool yourself! Rest assured, you would have had an even more solid feel, more distance and more spin if you had impacted the ball in such a way that produced a proper divot. Every golfer swings on an arc and at some point there is a low point on that arc. For many golfers, the low point of their arc occurs at or slightly behind the ball. 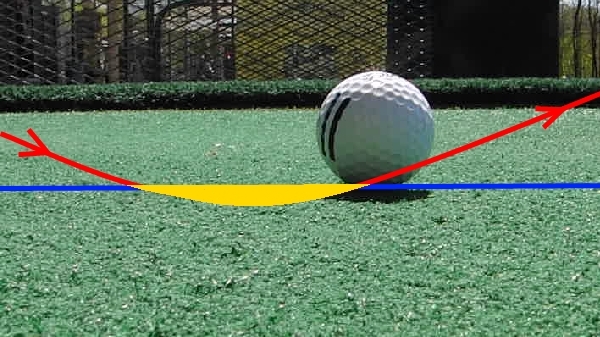 Divot behind the ball: The blue line represents the ground, the red line shows the arc the club is traveling on, and the yellow area represents the divot that will be created.